Our programs include Learn to Skate, CMA Bridge Program, Cross-Ice & Half-Ice Hockey, Parent & Child Stick Time, In-House Hockey, Stick Sessions, Rock Night, Birthday Parties and more! 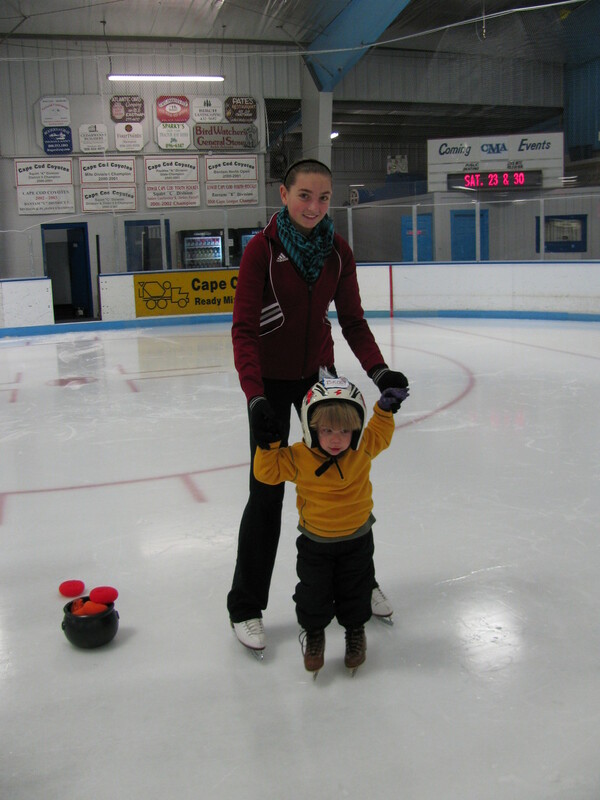 CMA's LTS program is designed for skaters of ALL ages, with or without experience, who have the desire to participate in the sport of skating. Many of our LTS skaters go on to play hockey, join the figure skating club, or just enjoy skating as a form of exercise. Sessions are usually 4-6 weeks and run all year long. Please feel free to join at any time during the session and we will pro-rate the fee. Email: info@charlesmoorearena.com for more info. Is your skater interested in learning a program, joining a synchronized skating team, or just ready for the next step in the world of figure skating? If you are interested in getting your child into private lessons our coaching staff is excited for you to join the Lower Cape Figure Skating Association! CMA's Bridge program is the perfect opportunity to find a personality match with a coach and get an idea if private lessons are the next best step! During our bridge program, skaters work in small groups and learn more advanced figure skating moves. They will also have the opportunity to work with the coaching staff from LCFSA in preparation for private lessons and joining the club. Have your next birthday party at the COOLEST place in town!!! !